German BF HYALURON Pro Beauty Fluid is a serum concentrate with strong anti-aging properties and a patented active hyaluron ingredient. BF HYALURON Pro Beauty Fluid reduces wrinkles and makes the skin more elastic and smooth. The serum significantly increases the rejuvenating effect and leads to a visibly softer skin. The result is firmer and tighter skin with fewer wrinkles and a fresh, youthful look. The treatment has no side effects and is confirmed by independent tests. The fluid ensures optimized moisture effect. It is suitable for all skin types and contains no lipids, perfumes or preservatives. The liquid is applied to cleaned skin (face and throat) in the evening. The effectiveness of BF HYALURON Pro Beauty Fluid has been investigated and confirmed in independent tests under the supervision of dermatologists. The application is dermatologically recommended. Rimita Green Ecocertified skin care products Ecologically certified skin care products developed and clinically tested in Finland, which were only sold at pharmacies in Finland earlier. Scroll down for more info. Organic face cream from Rimita Green, who cares in depth. Containing domestic sea urchin extract. 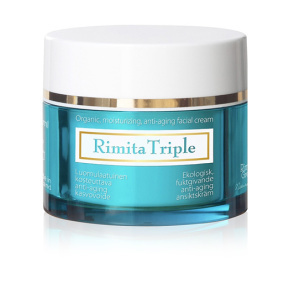 RimitaTriple is an ecological and moisturizing anti-aging face cream developed and clinically tested in Finland according to the highest quality standards and has only been sold at pharmacies in Finland earlier. 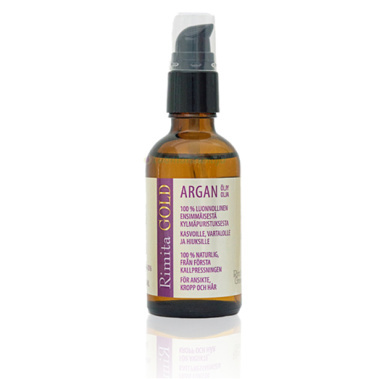 The exclusive Rimita GOLD argan oil is a nutritious and caring oil that is cold pressed by eco-grown argon nuts. It can be used as a day or night cream for face, neck, and decolletage. Rimita GOLD also cleans the body's dry skin and softens hard skin and can also reduce scars. It nurtures and soothes the skin after sunbathing. The oil can be used as an oil treatment in the hair and as a care for dry scalp. The Rimita GOLD oil is completely out of season. It is an ecological alternative that contains plenty of vitamin E and antioxidants that enhance skin elasticity and inhibit effects of aging in the skin. We also have an oil for the gentlemen. Rimita GOLD Hombré for his skin care; aftershave and face oil in the same bottle! Rimita GOLD Hombré is a high quality and organic argan oil with unusual caring properties - in fact all that one needs! The soap is recommended especially for dry or thin skin. It is as perfumed, with lavender or eucalyptus dust. 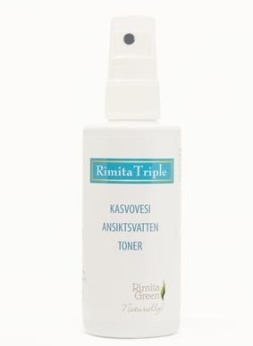 Triple facial water contains caring sea-bean berries, groves and röllika. It is packed in handy 100 ml bottles. / The package is handy 100 ml bottle. 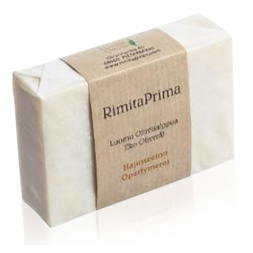 RimitaTriple - The best of Nordic nature for your skin - of course! Product innovation in the Nordic region! A unique combination of aromatherapy oils and Bach's flower extracts with a modern twist of high quality French therapeutic oils that are ecocertified. This beautiful product range is based on Bach's method using extracts made from wild plants according to Bach's original method. 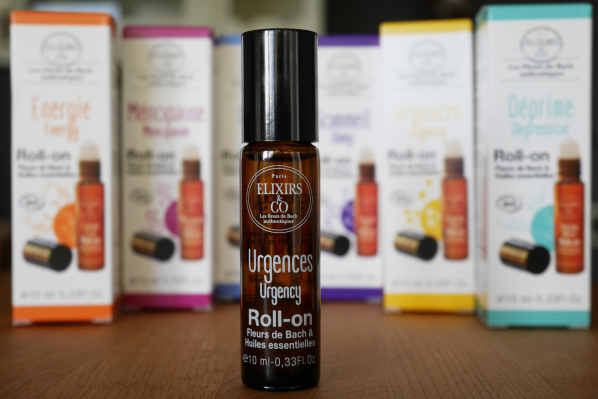 Elixir's therapeutic oils are packadie in comfortable 10 ml brown glass bottles. They are easy to bring in your pocket or in your handbag. The roll-on solution with pleasant smells ensures easy use and the oil is applied to the skin quickly and unnoticed. See and read more about these in the shop. Pls look into our webshop to se all of the products and order!